Today was Safer Internet Day, and we held a SHARE morning to which parents were invited to find out how we teach E-Safety in school. We began the session by watching this video produced in 2009 to outline the reasons why we teach ICT in schools. S - Safe: Keep safe by being careful not to give out personal information when you’re chatting or posting online. Personal information includes your email address, phone number and password. M - Meeting: Meeting someone you have only been in touch with online can be dangerous. Only do so with your parents’ or carers’ permission and even then only when they can be present. Remember online friends are still strangers even if you have been talking to them for a long time. A - Accepting: Accepting emails, IM messages, or opening files, pictures or texts from people you don’t know or trust can lead to problems – they may contain viruses or nasty messages! R - Reliable: Someone online might lie about who they are and information on the internet may not be true. Always check information with other websites, books or someone who knows. If you like chatting online it’s best to only chat to your real world friends and family. T - Tell: Tell your parent, carer or a trusted adult if someone or something makes you feel uncomfortable or worried, or if you or someone you know is being bullied online. Then the children and adults discussed a range of scenarios and how they would react in each situation. 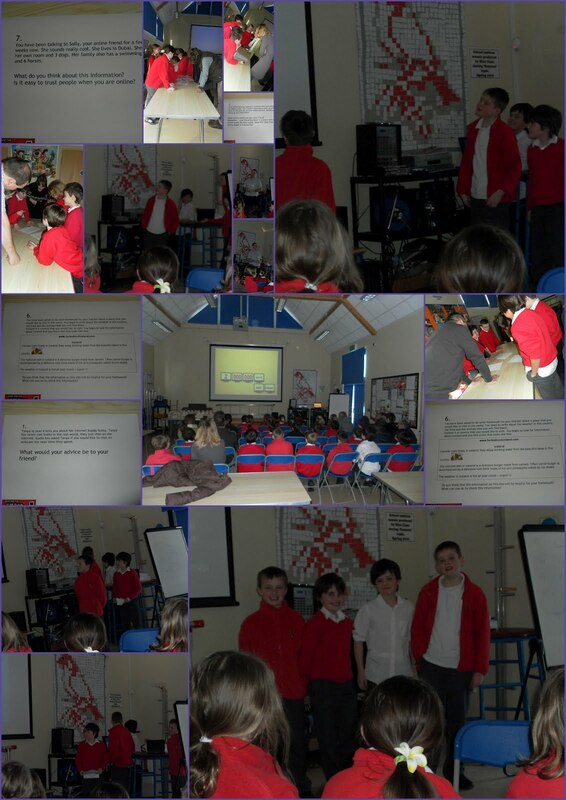 Finally, our digital leaders gave a brief presentation to sum up what we had learnt during the course of the morning.